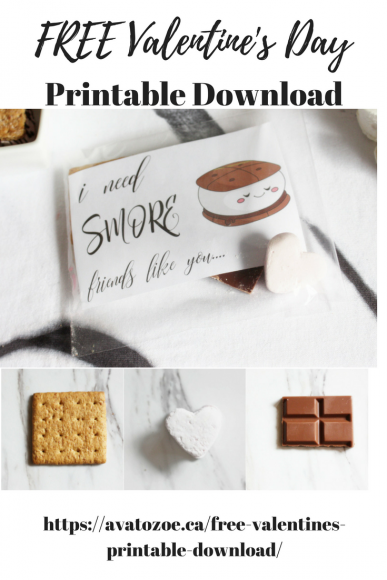 Free Valentine's Printable Download "I Need S'more Friends Like You"
I had a few people emailing me asking for our super cute free printable download to be easier to find. Ask and you shall receive my friend. 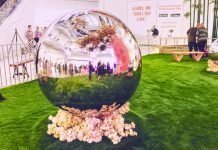 I promise I wasn’t making it hard on purpose, I was just excited to get the Valentine’s Party post up. Without any more blabbing, download your I Need Smore Friends Like You FREE download. You can print these free printable downloads at home on your home computer or take the file to staples and have them print on a slightly heavier cardstock. 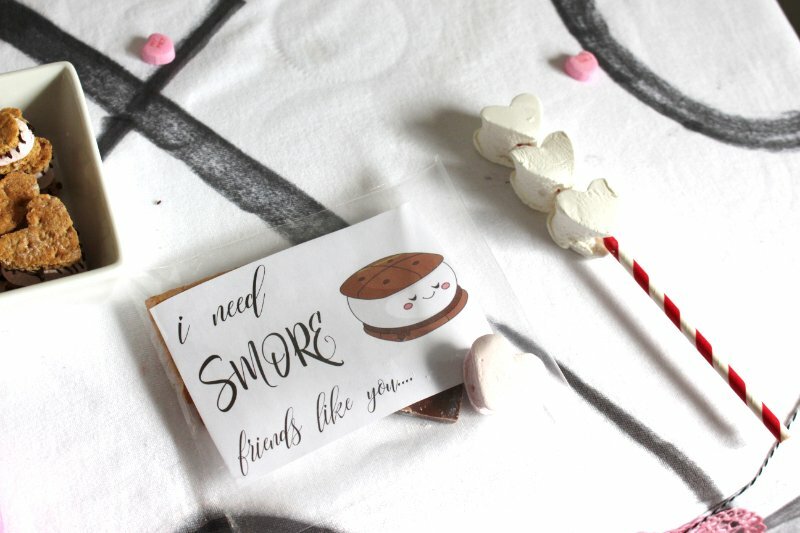 They truly are the perfect way to let your friends know how much you love them! The download will print with two on one page, I just used scissors to cut them to the size that I wanted them, which for me was slightly smaller than a 4×6. You can give them out just like this or you can put together a sweet little treat like I have. Once you have the cards printed and addressed to those lovely friends! Simply address them to your besties, leave your words of love and send them on their way! 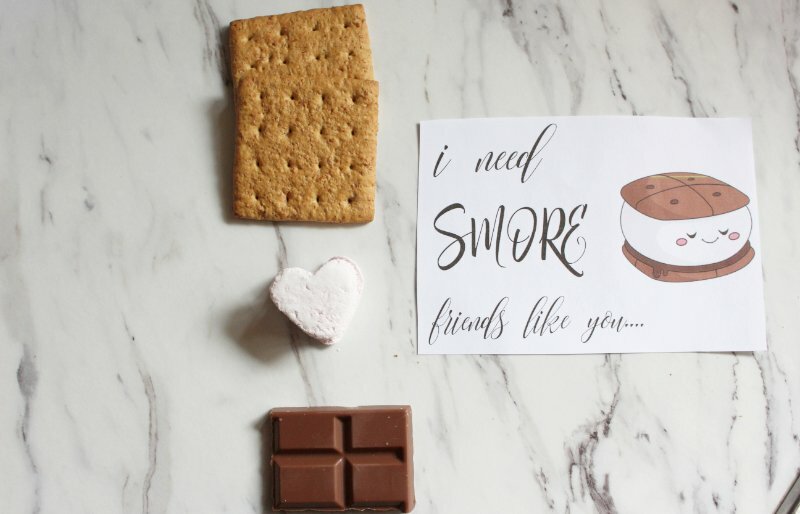 Everyone will love your super cute s’more valentine’s day cards.. I swear! 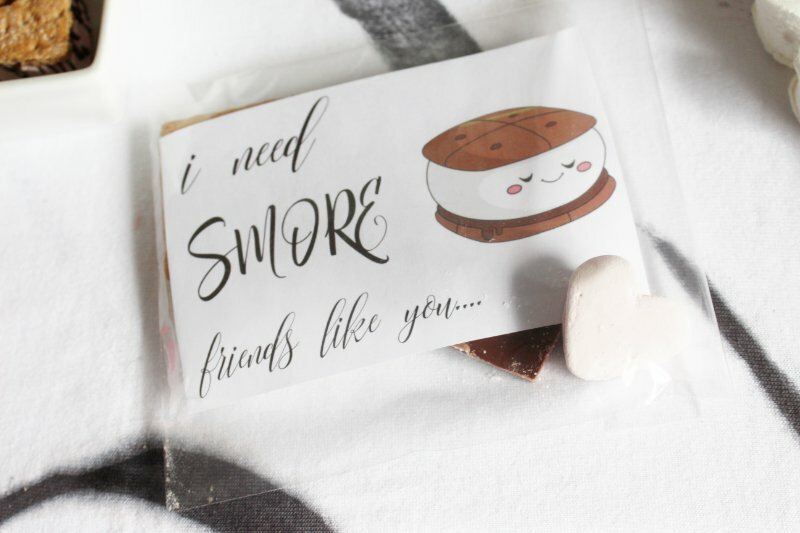 One more time, just in case you missed it above.. get your I Need Smore Friends Like You FREE printable download! 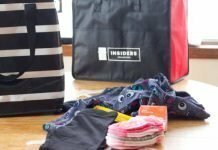 Previous articleCheers To Good Friends! 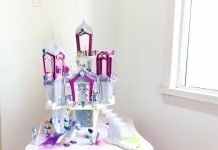 A Valentine’s Day Party Tutorial!